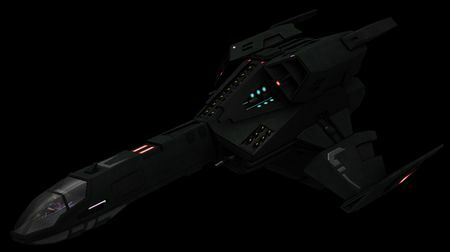 All information related to the SOF Banshee is non-canon. High speed interception calls for a high performance fighter. The swift Banshee fighter is Han-Roland's fastest design. Very fast and maneuverable, it is able to hunt down bombers before they can deliver their payloads with unsurprising effectiveness. The Banshee pays for this agility by sacrificing heavy shielding and armor plating, but does not compromise on armament - two missile batteries and four gunmounts comprise the ship's respectable armament. Commissioned to replace the aging Perseus, the Han-Ronald GTF Banshee is purpose-built for raw linear speed. The Banshee is a high-alpha attacker, boasting six gun mounts, three missile banks, and a powerful Comet Propulsion Z-95 fusion drive, making it the fastest fighter in the Terran fleet. The Banshee eschews heavy armor plating in favor of a narrow profile and extreme maneuverability surpassing that of its predecessor, surviving engagements by evasion or outrunning targets with its generous afterburner reserves. 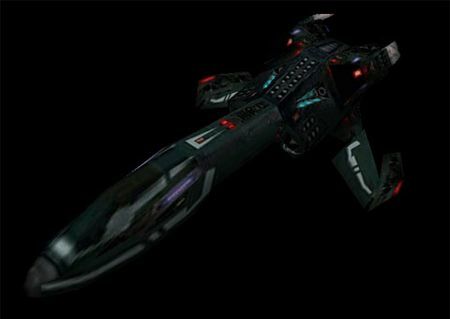 The Banshee does not carry the enormous afterburner capacitors of the Perseus, but its modern reactor system supports a larger weapons capacitor and improved shield and afterburner recharge rates. The Banshee has been received positively by SOC and CEU squadrons, and is scheduled for mass deployment in the next few months. This page was last edited on 3 February 2019, at 23:12.